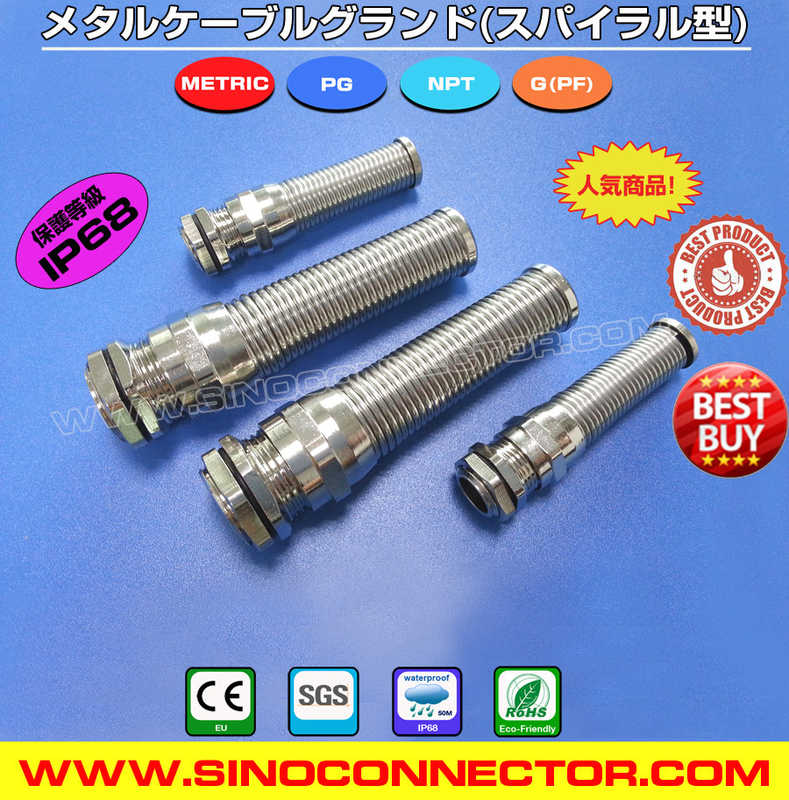 PG7~PG21 & M12 ~ M30 & NPT1/4" ~ NPT3/4"
* Sealing Nut, Locknut & Body: Nickel-plated Brass. * Anti-kink Spring: Stainless Steel SUS301. 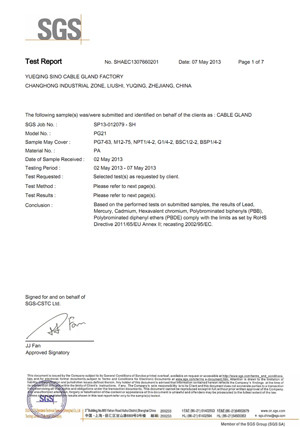 * Clamping Claw: UL-approved Polyamide 66, 94V-2 (contact us for 94V-0). * Seal & O-ring: oil-resistant NBR (available in weatherproof EPDM, Natural Rubber & Silicone rubber). Short thread & long thread is available (extralong thread can be customized according to customer's request). It can reach IP68 (only if assembled with O-ring within its specific cable range). Static: -40 ℃ to 100 ℃, short-term:120 ℃. Dynamic:-20 ℃ to 80 ℃, short-term:100 ℃. Designed with anti-bending spiral spring & wide cable clamping range, such glands offer excellent cable protection against excessive twist at the bending point to reduce the risk of break to avoid electric leakage. 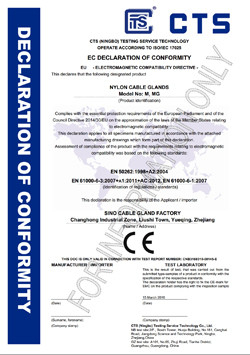 With the characteristics of strong tensile strength, high sealing performance, good security and stability & sustainable submersion in the water 50 meters, such Glands are widely applied for connecting and fastening flexible cables or wire on electrical equipments, moving machineries, telecommunications, network communication, automatic control, power supplies, switches, motors, distribution boxes, solar PV modules, surveillance cameras, plant engineerings, installations, meters and instruments, etc. * PG7, PG9, PG11, PG13.5, PG16, PG21. * M12x1.5, M14x1.5, M16x1.5, M18x1.5, M20x1.5, M22x1.5, M24x1.5, M25x1.5, M27x1.5, M28x1.5, M30x1.5. 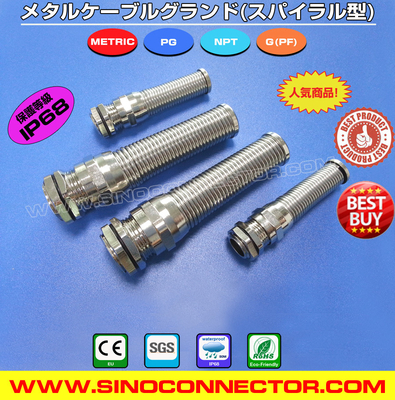 * NPT1/4", NPT3/8", NPT1/2", NPT3/4".